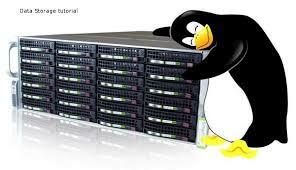 Linux Hosting plans are the best choice for publishing personal, business, Blog and Forum websites. Whether you want to transfer your website to HostingPartner, or want to start a new project, we give you a selection of Linux Hosting plans to build small, medium or big websites with resources for low, medium or high traffic. With our control panel you will be able to fully manage your web space, and you will find a selection of add-ons like Softaculous that will allow you install about 300 CMS and scripts with just one click. 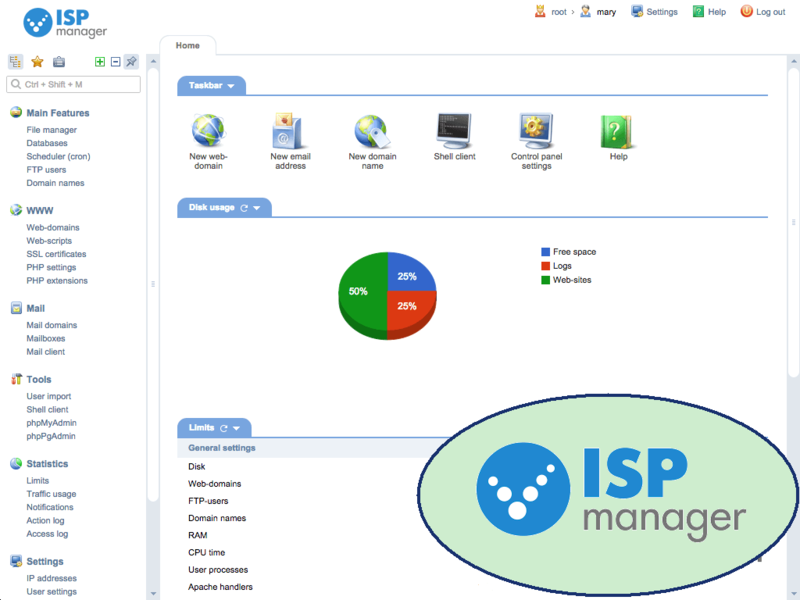 ISPmanager is an administrative backend panel that makes easy for you to manage your website and your available resources, through an easy-to-use interface and statistics for traffic and activity monitoring. Easy to use, user friendly interface. Automatic tools to build your website. Easily create new email accounts. Easier creation and management of databases. CloudLinux is an operating system specifically designed for Hosting service providers to optimize performance on shared servers, by isolating every user to make sure activities, or abuses, inside an account won't interfere or slow down other users, to equally divide resources and to monitor consumption. HostingPartner uses CloudLinux on all its Linux Hosting systems in order to guarantee maximum efficiency and speed to your website. On all our Linux Hosting servers we installed NgiNX Webserver in order to provide maximum performance to your website. 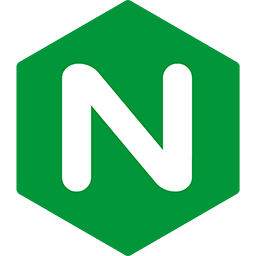 Used in "Reverse Proxy" mode NgiNX keeps compatibility with Apache and your website will be 10 times faster. HostingPartner everyday performs backups of its servers and of customer websites, and with HostingPartner control panel you will be able to easily restore your backup whenever you want. Daily backup is included on all Hosting plans free of charge. To help you in making the best choice, here is a list of most frequently asked questions about our Hosting services. If you can't find the right answer for your questions and want more information, just click on the button below to contact us and we will be happy to help you. Is support included on hosting plans? Yes. Support is included for all that concerns hosting services and resources related to the web space (proper functioning of web pages, email services, FTP, PHP, etc..), it does not cover what is related to internal functioning of website or to the installed CMS, that are under user or CMS developer responsibility. Can I move to a higher plan if I notice my resources are not enough? Yes. You can move to a higher plan at any time. The system will calculate the price difference between the previous plan and the one you have chosen and the remaining time to expire date in order to get the exact price. NOTE: You cannot move to a plan with lower resources. Do you offer training resources for new customers? No. We don't offer a training course in the real sense of meaning. On our website you can find several guides and a FAQ section that answer the most common queries for those that aren't familiar with hosting services. Anyway you can submit a support ticket from the client area, Hostingpartner staff is often available to give support to new customers, and we evaluate all specific requests unless it needs a more in depth support. In case the user needs a step-by-step support and a professional assistance we provide hourly support services. You can find more details at the following link. Will the service be activated immediately? For security reasons the service is activated within 24 hours from payment. Usually the service will be activated in few minutes or hours if order is done during office hours. NOTE: in case of bank transfer, the service will be activated when payment is credited to our bank account. We accept payments by credit card, PayPal o bank transfer. Can I withdraw from purchase if I change my mind? Yes. You can withdraw and get a refund, except for costs that HostingPartner has beared for domain registration or transfer, or any other.